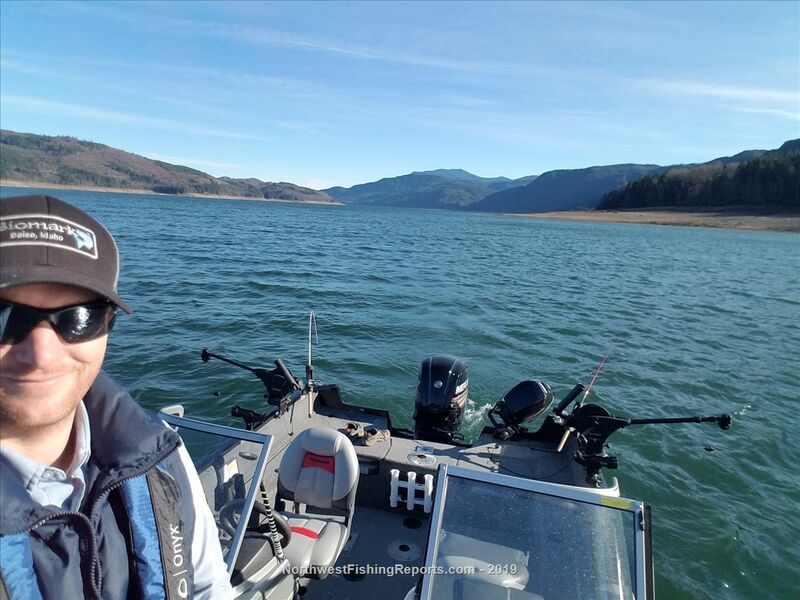 I took advantage of the weather and fished Riffe Lake targeting Coho and smallmouth. 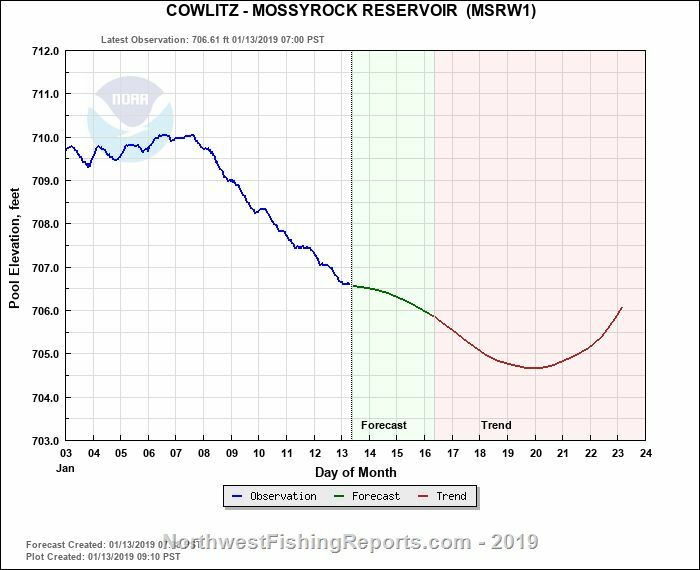 The dry winter has really had an impact on the lake level. 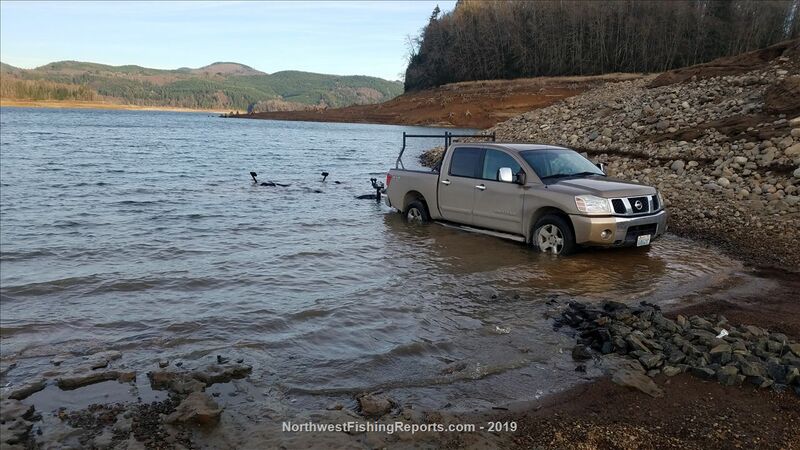 I launched at the Mossyrock park and found it very difficult to get the boat off and on the trailer at the current water level. There was a lot of mud at the bottom of the ramp requiring 4 wheel drive to get out. Using the northwest river forecast page (https://www.nwrfc.noaa.gov/rfc/) I found the lake was around 707' during my visit. Once on the lake there was an east wind of 10-15 mph. This made for some rough conditions and I decided to troll a bit for landlocked Coho. 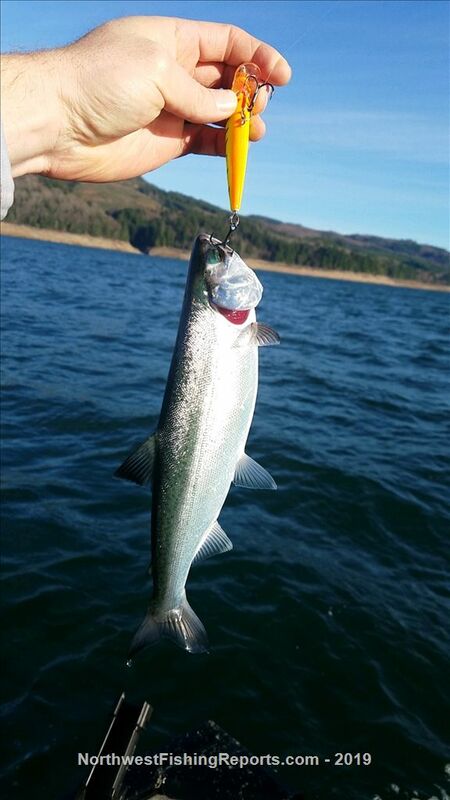 My go-to trolling lure for this lake is usually a Rapala countdown. With two pole endorsement, I had two colors running initially without downriggers. The surface water temperature was between 45.5 and 46.0 degrees. I tried hugging the shoreline for shelter from the wind and worked my way out to deeper water as the wind set down a bit. I ended up transitioning to the downriggers after an hour of not catching anything. I set one at 15' and the other at 40'. I like to troll around 2.5-3.0 mph when using the countdowns. After making this transition, I was able to get hooked up at both wire depths and caught a quick limit of silvers. All fish were cookie cutter (~12"). I finished out my trip by fishing for small mouth. I caught one dink using a dropshot rig and a 4" blue/black laminate Senko. I targeted the west side of islands near the boat lunch to hide from the wind. View other reports from fishmaster110. Great report! Glad you were able to launch, I probably would have scrubbed the day and not risked it. So much for extending the ramp,.